There are no moral victories and there are no good losses. Those cliches out of the way, the Virginia Cavaliers acquitted themselves well against a good Georgia Tech football team on the road in their 30-27 overtime loss in Atlanta. 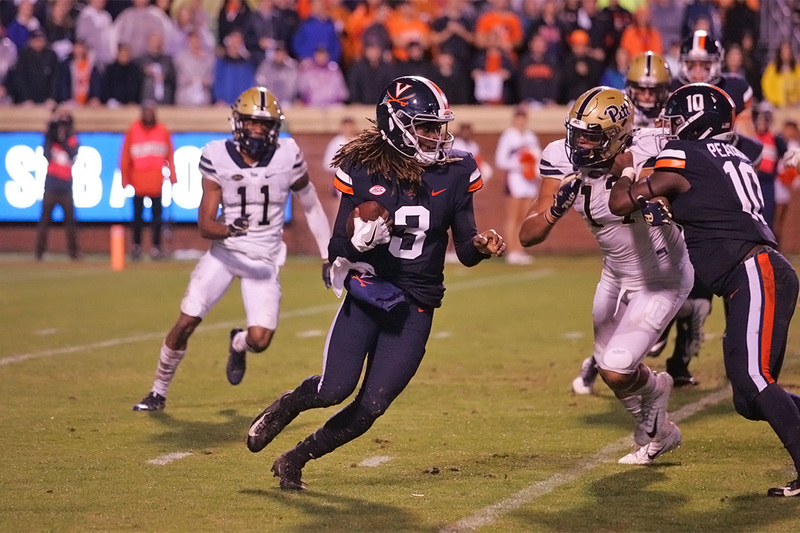 In a game that proved once again that the Hoos are better when all three operations contribute, a game where huge, game-changing, ‘will to win suffocating’ returns and turnovers would have defeated lesser teams, Virginia battled and almost pulled it off. It’s still a loss, but how you lose matters. No quit and all fight is who the 2018 Hoos are. What about the grades though? Let’s look. The offense posted its fifth 400-yard+ game of the season against Tech. The last time a UVA offense posted 400+ yards in five games was 2015. Great blocking by Hasise Dubious on Bryce Perkins’ second quarter TD, among several other plays.